The NHS spends more than £1 billion a year on prescriptions for people with diabetes, new figures show. NHS Digital said the cost of prescriptions for diabetic patients was £1,012.4 million in 2017-18, up from a total of £983.7 million the year earlier. Figures found that nearly 5% of all prescriptions written by GPs are for treatments related to diabetes, equating to a total of 53.4 million items. This means that diabetes treatments account for 11.4% of total primary care net ingredient costs. The figure is a significant increase on the number of diabetic treatments prescribed a decade ago - including insulins, antidiabetic drugs, and diagnostics and monitoring devices. In 2007-08, there were 30.8 million prescription items for diabetes. The biggest recent increases can be seen in treatments for Type 2 diabetes, which affects around 90% of patients. Almost 3.7 million people have been diagnosed with diabetes in the UK, according to Diabetes UK, while it is estimated that more than five million people will have the condition by 2025. Professor Jonathan Valabhji, national clinical director for diabetes and obesity at NHS England, said that the data shows the urgent need to prevent Type 2 diabetes from developing in the first place. Robin Hewings, head of policy at Diabetes UK, said the condition is the "biggest threat to the health of our country". He said: "The number of people diagnosed with the condition has doubled in the last 20 years, and it is responsible for 26,000 early deaths per year alongside serious complications such as blindness, amputation or stroke." "This data shows that diabetes prescribing costs £1 billion but is estimated that the total cost to the NHS is over £10 billion a year so the real price we have to pay for diabetes is not medications, but the devastating and expensive complications. "That's why we need to focus spending more money on helping people manage their diabetes well. 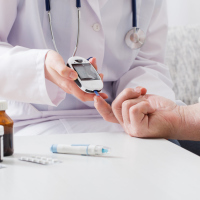 "The NHS needs to maintain its focus on diabetes in its long-term plan, and particularly to make sure that people receive the education, care and technologies to help them manage their condition safely." If you're living with diabetes, why not get cover that meets your needs and check out our range of dedicated diabetes travel insurance to give yourself peace of mind the next time you travel.